Ladies, are you tired of nosy aunties meddling in your love life at Lunar New Year gatherings? 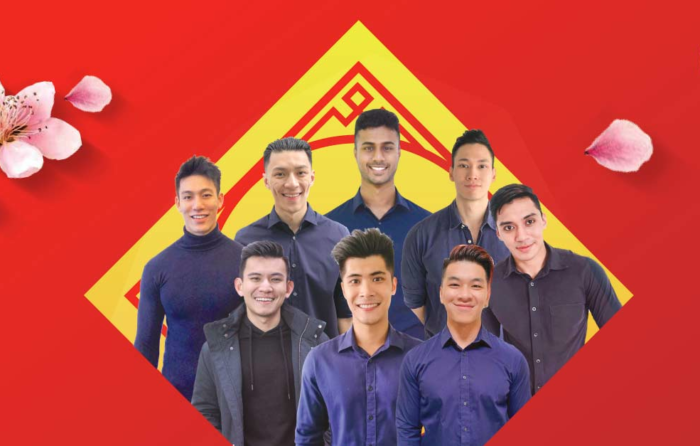 Well, Lazada Malaysia is coming to your rescue this Lunar New Year with its new campaign “Slash” the Leng Chai (handsome boy) for a date with an eligible bachelor. Shoppers will have the opportunity to spend an afternoon with their “boyfriend” at a reunion luncheon at a nursing home with some senior citizens on 26 January, all in the spirit of togetherness. The aim of the campaign is to highlight the importance of being with family and counting one’s blessings. As many elderly folks living in homes rarely receive visits or leave the home during Lunar New Year, Lazada hopes to share the love through this initiative by bringing the reunion to them. From 16 to 18 January 2019, shoppers in the Klang Valley area can slash the price of a leng chai from RM8,888.88 to zero on the Lazada app. Participants are encouraged to get their friends and family members involved to achieve the 48 slashes needed to score their preferred date. In a statement to A+M, Andrew Gnananantham, CMO, Lazada Malaysia said consumers today are inundated with content and advertising across all channels. To stay top-of-mind, a brand needs to create conversation starters. “Our focus has been to create disruptive events to get people’s attention and get them to share their Lazada experience with their friends and families; which is why we thought of using ‘Slash It’, a social shopping feature that brings people together by getting others involved to help each other ‘Slash’ prices off items to get the best deals,” he said. Gnananantham added that the campaign was inspired by a pet peeve that many Malaysians have – being asked questions by older relatives about one’s love life. As such, Lazada decided to put a “fun twist” on the typical scenario by providing shoppers the chance to “Slash” for a date and bring some festive joy to the elderly. Meanwhile, shoppers can also enter the #LAZAHUAT2019 Lucky Fish Contest, which runs until 18 January, for a chance to win prizes worth RM68,888. Lazada is also running flash deals six times daily from 14 to 18 January at 12 am, 9 am, 12 pm, 3 pm, 6pm and 9 pm, as well as slashing prices on featured products to as low as RM0.10. It is also giving out collectable vouchers on its app’s homepage and other various locations in-app. After coming in second in 2017 and third in 2016, the airline is now focused on grabbing that number one spot with digital transfo..